The "Spinal Guard" series by King Koil is a cost-effective - though, luxurious - line of both spring and foam model mattresses. The "Katie" is an all-foam model that could possibly be the industry's best value. Being that it's a poly foam mattress, the Katie won't present any of the heat issues that older, traditional memory mattresses were said to have. It has a great buildup of convoluted (egg shell) foam, standard poly foam, Hyper Soft foam and a denser SupportCore foam layer. 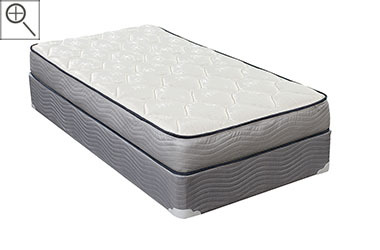 If it's a cost-efficient sleep product that you are looking for that will hold up for a relatively long time, provide strong support and that is made in the USA, the Katie is a great option. For something supportive that isn't a total 'brick', the "Katie" is a cost-effective option for just about anyone. Manufactured by the very well-known and respected King Koil brand, it also carries a five year non-prorated warranty. Despite its low price, this model works for both children and adults; a nightly sleeper or for a guest room. 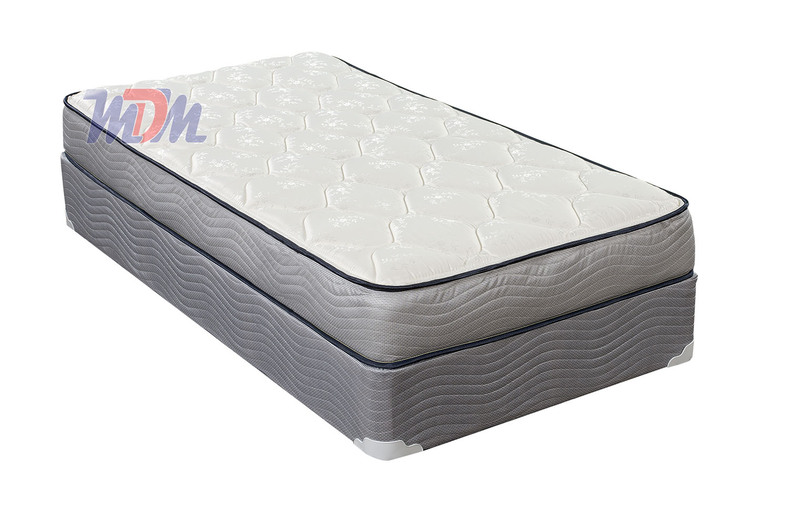 It has a nice build-up of layers that provide a relatively noticeable degree of comfort, especially for back-sleepers. 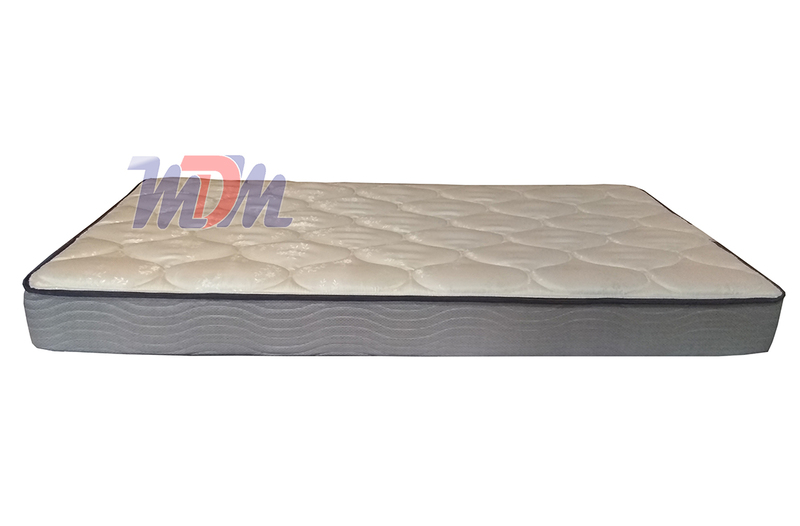 It's rare that you see four layers in a seven inch mattress so, it's apparent that a lot of consideration is put into the construction of this model.